Yes, People there is yet another popular social networking website BadOo.com which we are not acquaintance which holds Alexa ranking as of now #143 worldwide is the 4th largest social networking website after facebook, Google+ and twitter as its current user population is 180+ million. What BadOo.com is all about? BadOo is both social networking and dating sites too. The interface is simple, clean & easy to use and understand but the design is not eye-catchy I am not saying it is bad, it could have been much better. 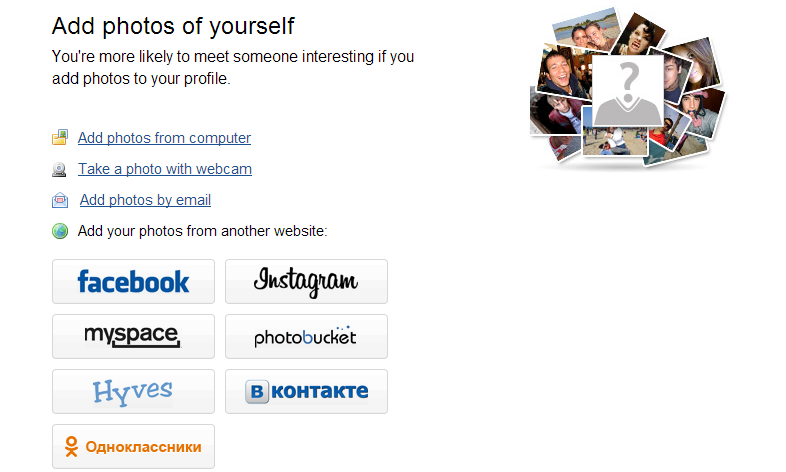 Like another social networking website BadOo is not untouched with spam but they are doing there best to reduce spam. Like while registering at Badoo I uploaded a cartoon photo as my profile pic but after an hour they put that photo into the album giving a warning that you should upload a photo in which your face is clearly visible leaving my profile pic without a face. From this you can see “How committed Badoo team is to reduce spams” but my suggestion would be to put less details about you. 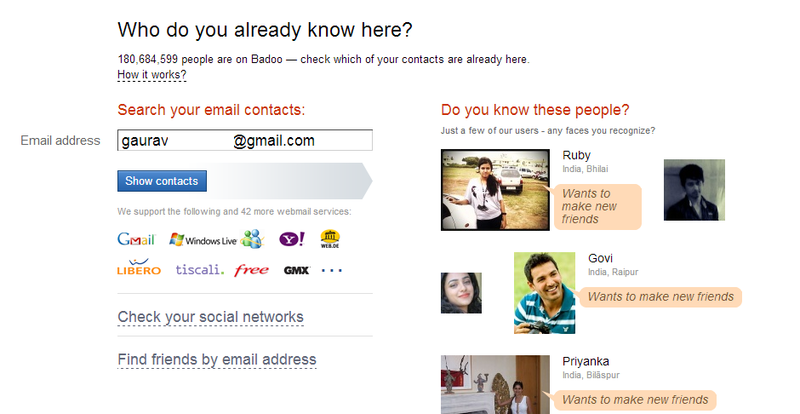 Badoo is very easy to register fill up simple registration form as we did on time when signing up for facebook. But all those lazy people including me who don’t like filling forms Badoo has got lots of alternative ways to login in it like by using facebook connect, yahoo, google , msn account etc. It gives you the option to search for friends using your email account contacts and other social networking in which you are in or find friends via “Find friends by email address”. Services in BadOo like chatting, messaging, group chats are all free except you want to be superuser/featured user on Badoo which promotes user profile on Badoo featured user lists which always stays at the top which costs around in Indian currency about Rs.90 . BadOo is also on available on different mobile platforms like Andriod, iOS, Blackberry . You can download BadOo app from their respective mobile app stores. And for java mobiles and other mobile platforms you use BadOo by going to m.badoo.com in your mobile web browser. What are your opinions about BadOo do share in comment section.